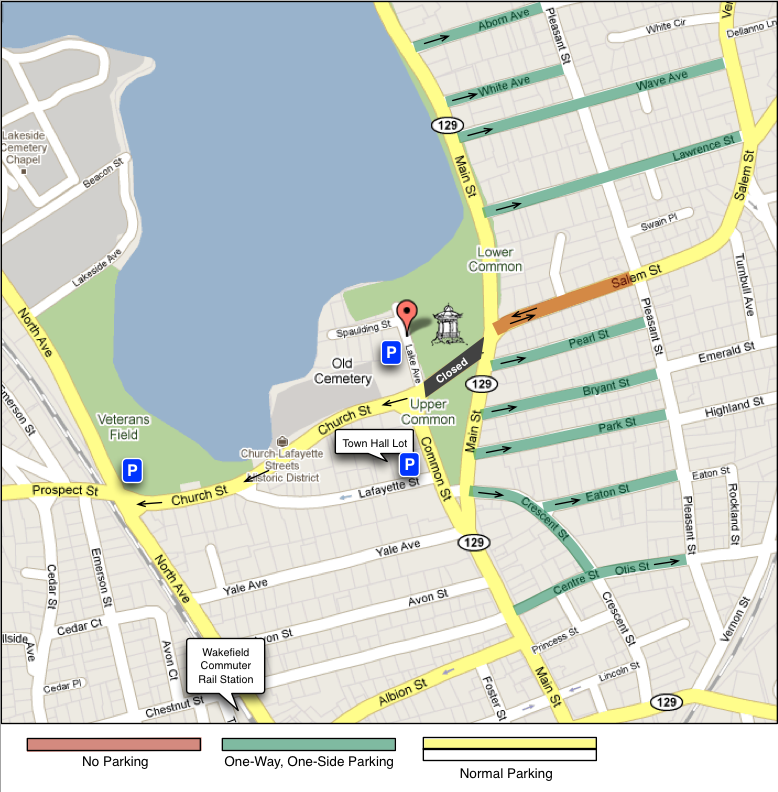 The Festival by the Lake is held on Wakefield’s 20+ acre town common at the southeastern shore of Lake Quannapowitt. The location is only 4 miles from the intersections of Interstates 93 and 95, and about 10 miles north of Boston. Get custom directions from Google. The Festival is only a 10 minute walk from the Wakefield commuter rail station.